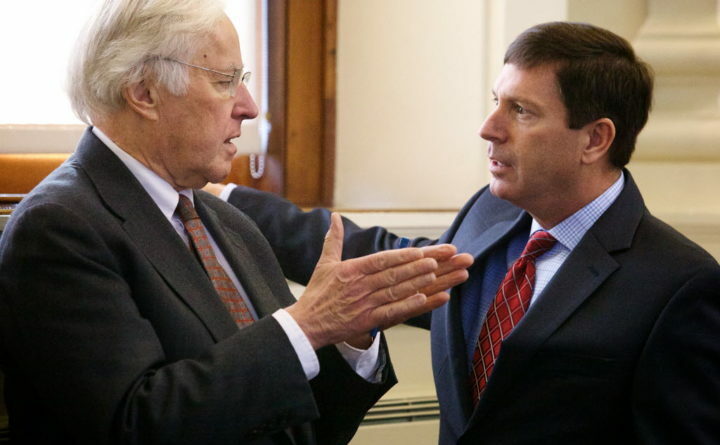 Rep. John Martin, D-Eagle Lake, (left) speaks with House Minority Leader Ken Fredette, R-Newport, at the State House in Augusta in this file photo. This week’s political fight over whether the Legislature should remain in session past its official adjournment date focused mostly on a few marquee proposals that have been under debate for months, but there are hundreds of other bills lying in limbo. That hundreds of bills die every legislative session, many of them upon adjournment, is nothing new in Augusta, but what makes this year unique is that a bulk of what legislative leaders and Gov. Paul LePage hoped to accomplish in 2018 has not been accomplished. Here’s a snapshot of those issues, along with a broader look at what else is left. Tax conformity: Ever since President Donald Trump and congressional Republicans enacted major tax reform in December, Republican lawmakers in Maine have said aligning our tax code with the feds is a priority. Democrats are supportive of some aspects — such as easing some practical hurdles state filers may face next year because of the increased misalignment — but want to reduce the $88 million cost of tax cuts called for by LePage. Medicaid expansion: A law to extend taxpayer-funded health coverage to at least 70,000 more low-income Mainers was put on the books by citizen-initiated referendum in 2017, but funding for it has not been settled. LePage and many Republicans — especially those in the House of Representatives — have erected layers of obstacles to thwart implementation. A bill that would provide $3.8 million to hire workers and upgrade technology in the Department of Health and Human Services for the expansion is still alive but unfunded. While Democrats argue its cost is tiny compared to this year’s $180 million budget surplus, Republicans are focused on the cost of covering more people into the future. Minimum wage: A 2016 citizen-initiated referendum that raised the minimum wage to $10 this year and will boost it to $12 by 2020 is in law, but Republicans don’t like it. They led an effort to blunt it somewhat last year by restoring the tip credit. 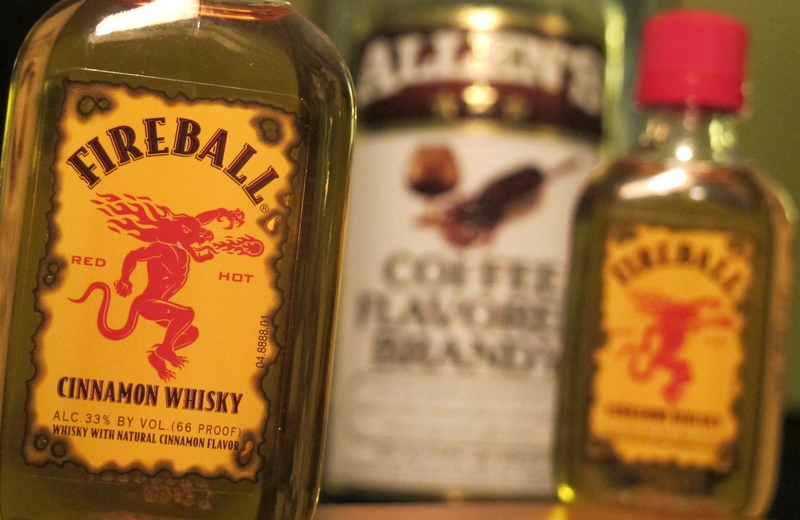 Several other bills to curtail it failed this year. Despite that, slowing minimum wage increases and the tax conformity bill emerged as an ultimatum from House Minority Leader Ken Fredette, R-Newport, who said Wednesday he won’t budge on other matters without them. House Speaker Sara Gideon, R-Freeport, said Thursday that Democrats would “absolutely not” support any proposal to curtail or slow incremental minimum wage increases built into the law. Not quite dead: There are 126 bills that were enacted by the Legislature this year that sit in purgatory on what is known as the Special Appropriations Table. That’s where bills that cost money go and usually die when they are not funded before the Legislature adjourns. In negotiations, the Legislature’s budget committee plucked 20 of those bills for inclusion in a spending package, though House Republicans on the committee said bills they hadn’t agreed to were added. They suggested sending each bill to the Legislature for individual consideration, but Democrats insist that because the list was negotiated and includes things both parties oppose, it should be considered as a whole. Promises and priorities: In addition to some of the bills mentioned above, also in the spending package is funding for direct care workers, nursing homes, several DHHS waiting lists and programs, county jails and anti-addiction programs. Some of these initiatives, such as raises for direct care workers, were funded for only one year last year’s biennial budget. The combined cost of these bills is around $68 million. There are dozens of General Fund bond proposals under consideration that some lawmakers have calculated are worth more than $1 billion altogether — but there is no way the Legislature will support asking voters to approve that much. However, there is strong support for some of them, such as a $100 million transportation bond for upkeep on roads and bridges, a $20 million proposal to fund school safety projects, and a $75 million bond for upgrades in the University of Maine System, among others. LePage proposed 87 bills during the 128th Legislature, including at least a dozen in the past couple of weeks. Most of them failed, and House Democrats went on a rejection spree for several of them on Wednesday night. On Wednesday alone, which was the statutory adjournment date, the governor proposed new bills to add money to the rainy day fund, provide funding for the child welfare system, enhance data sharing between the Department of Corrections and the courts, and increase access to services for adults with mental illness. School funding: A complex and weedy bill that involves state funding for education must be enacted annually to make adjustments to the school funding formula to account for things like swings in student enrollments and municipal valuation changes. The bill sets the total cost of education in Maine as well as the amount local communities must contribute, which is crucial information for school districts developing their budgets. The bill currently lies in non-concurrence between the House and Senate. Errors and inconsistencies: Most years, there is a bill to clean up typos and other errors in previously passed legislation and this year is no exception. Among other things, the bill would correct an error that could threaten funding for Maine’s Clean Election Fund this year if it isn’t enacted. The bill failed to gain two-thirds support in the House on Wednesday, which is necessary for it to go into law as an emergency. Supporters said they will amend away the emergency clause and try to enact it on a simple majority — if the Legislature returns for more votes. 577: Bills considered this year, including 317 that were carried over from last year. 255: Bills that have not received final disposition. 34: Bills that have been finally passed but are not yet enacted because they are under consideration by LePage or have a veto pending. 136: Bills on the appropriations or study tables. 41: Bills remaining on the House or Senate floors and not yet committed to tables. 47: Bills still in committee. 468: Bills and resolves enacted so far during the 128th Legislature out of more than 1,900 that were proposed.